When you rent, your landlord insures the building but none of the contents. If you had to replace all of your belongings, the bill would add up fast. 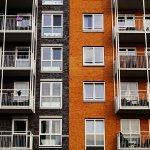 We’ll help you determine the proper amount of renters insurance coverage, then make sure you get the best rates and discounts. With many years of experience, you can rest assured you’re protected. Contact us or request quotes to get started. Scheduled Property Coverage – Covers special, high value property like jewelry, art, and guns that typically have limited coverage. Replacement Cost – Pays the amount it costs to replace your personal property without deducting for depreciation. We’re Independent – Unlike captive insurance agencies (American Family Insurance, State Farm Insurance, etc.) we work with over 30 insurance companies, to find you the best renters insurance. The Jim Brant Agency is on your side, not the insurance company’s.